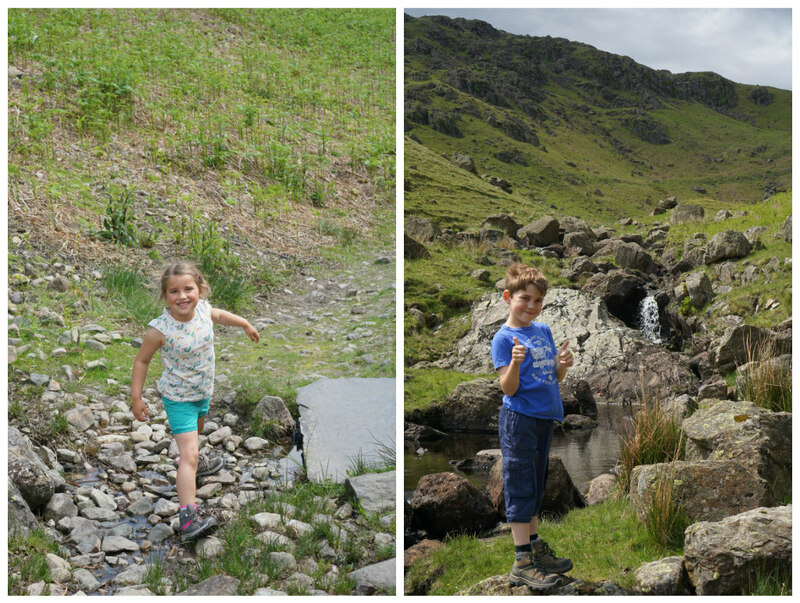 Back in the May half term holidays, we headed up to the Lake District for a week of outdoor family fun. 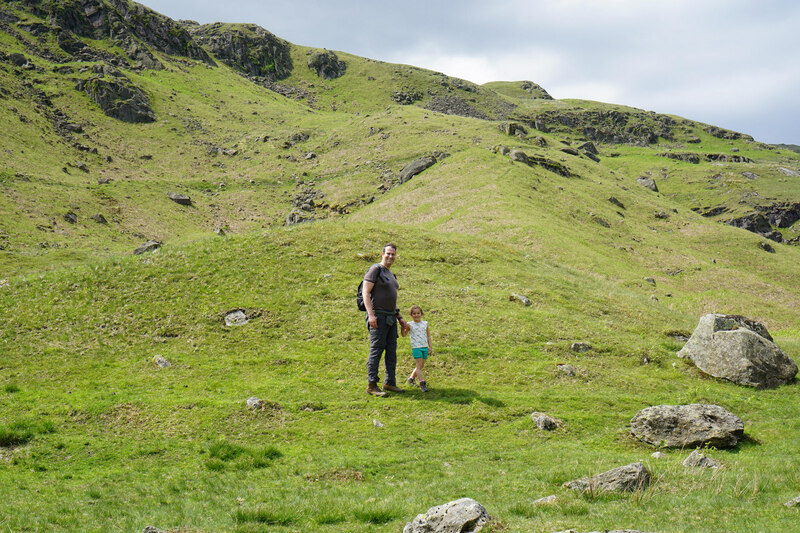 I’d been quite nervous about booking a Cumbria holiday, worrying that rainy, cold weather would inevitably result in a damp and disappointing trip. 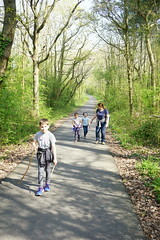 But my worries were totally unfounded as we enjoyed a gloriously sunny, warm week – we barely needed jumpers and had to run out to buy more shorts for the kids and sun tan lotion! 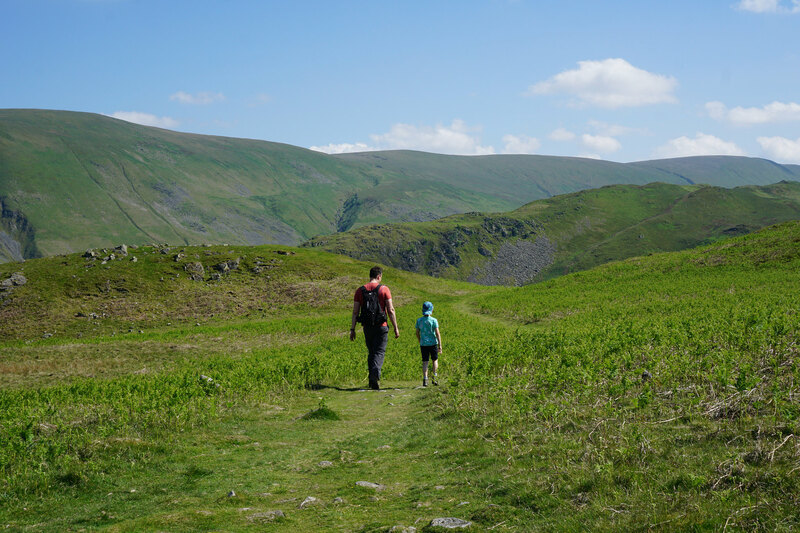 We based ourselves in Keswick which was ideal in terms of local facilities, ease of access and proximity to some of the most beautiful lakeland fells. 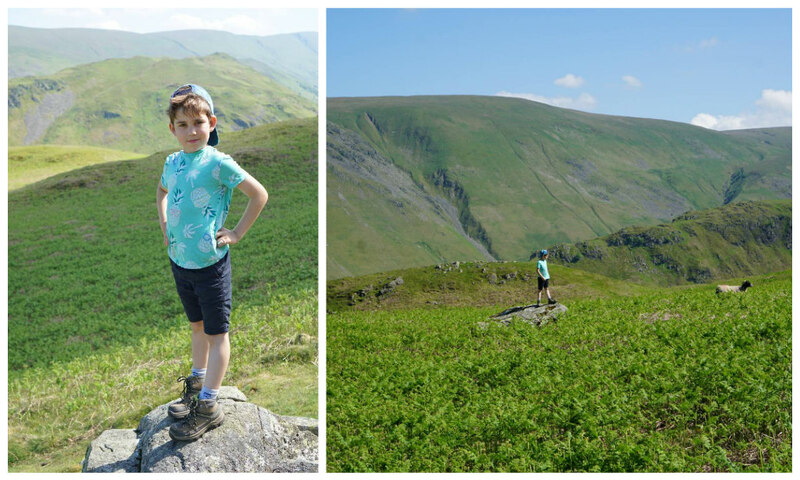 After the success of our first lakeland walk last year, and confident after a series of ever lengthening hikes with the children, we were determined to make the most of the mountain scenery – so we took every opportunity we could to get the kids up some hills! 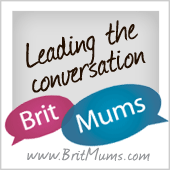 Over the week, we clocked over 30km of walks with them – quite an achievement when you’re five! I’m still so proud that they not only managed it, but did it with smiles on their faces! 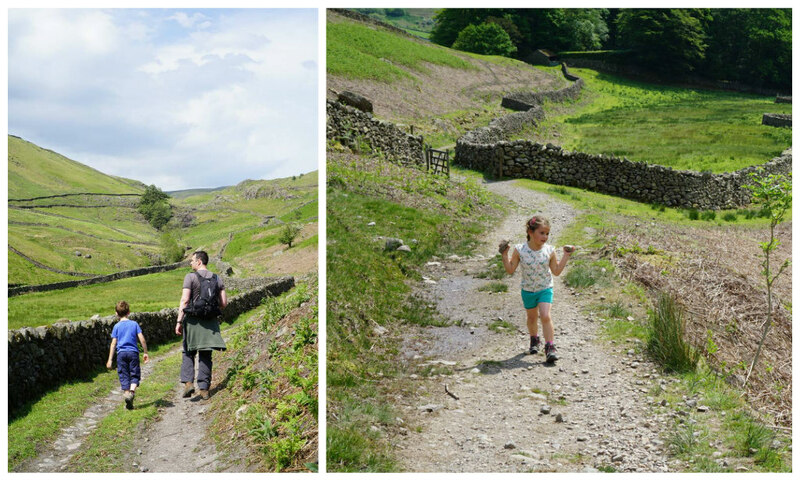 We took so many photos, that in this post I’ll just share our first two hikes through the pictures we took. 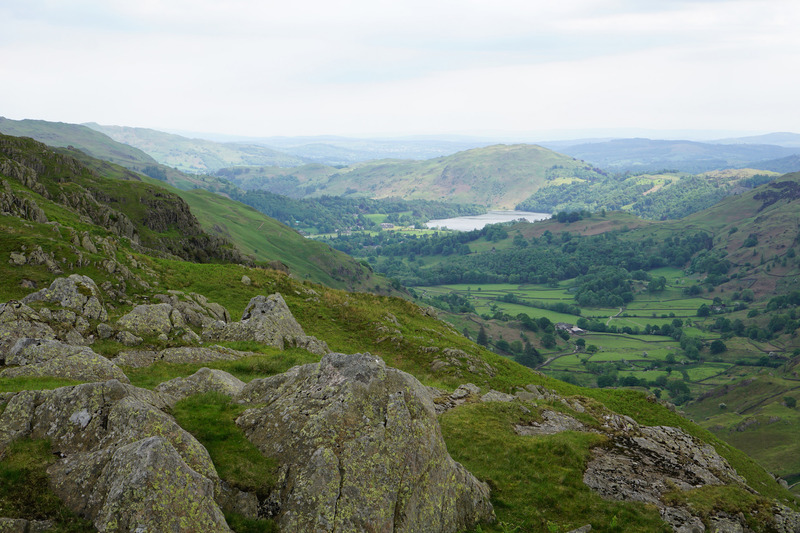 Matt took charge of selecting the hike for our first day, and chose Helm Crag by Grasmere. It can be a really quick up and down, but because of where we parked and the circuit we chose, it turned into a four hour walk. We barely saw another walker for the entire time – it was heavenly! 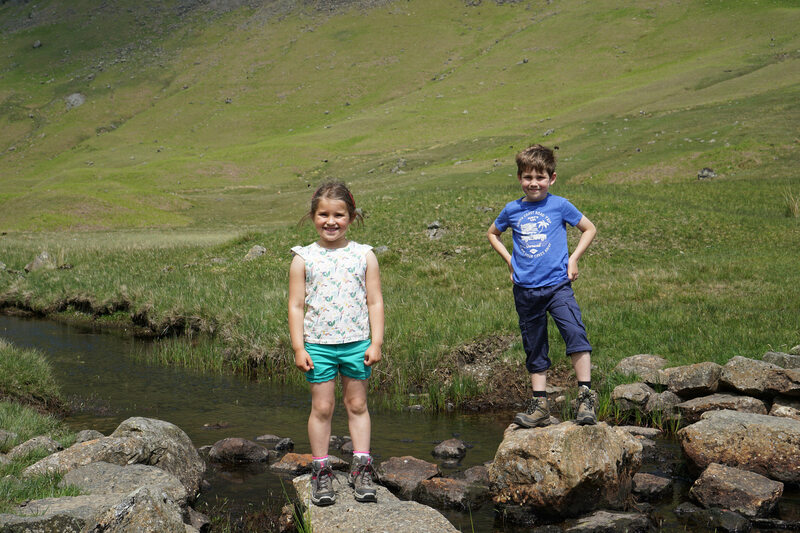 The children bounded around like goats, probably clocking twice the number of miles than Matt and I with their off-track escapades. 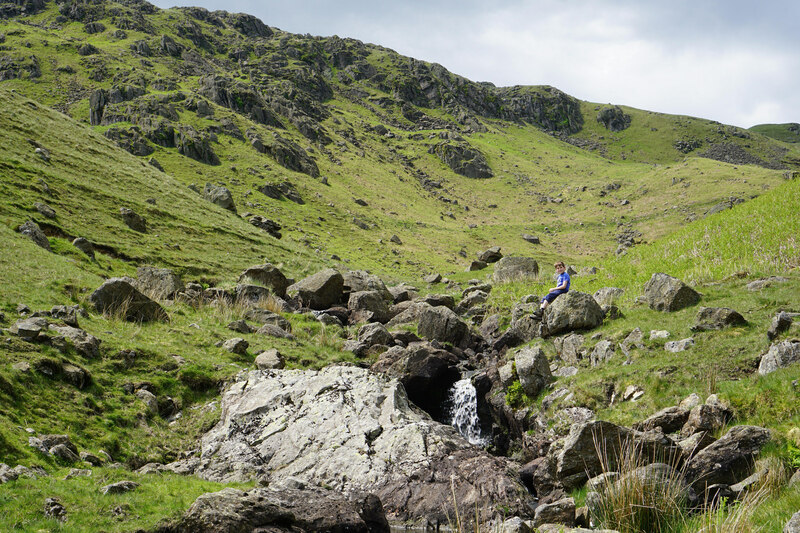 Can you spot Alex amongst the boulders and little waterfall? 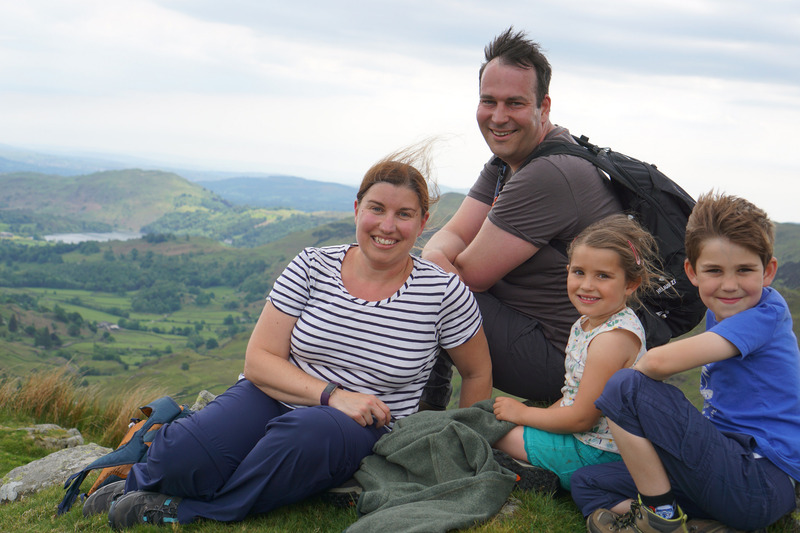 After a lovely long stroll along a valley, we climbed up to the summit ridge where a passing walker snapped a group photo of use – you can see it was pretty windy up top, but still warm and clear. 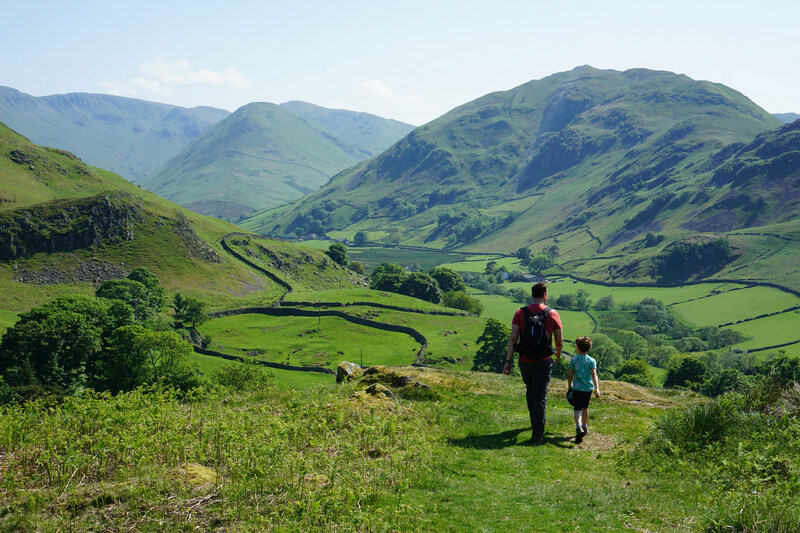 It was thrilling seeing the Lake District unfold around us – so many more fells to climb! 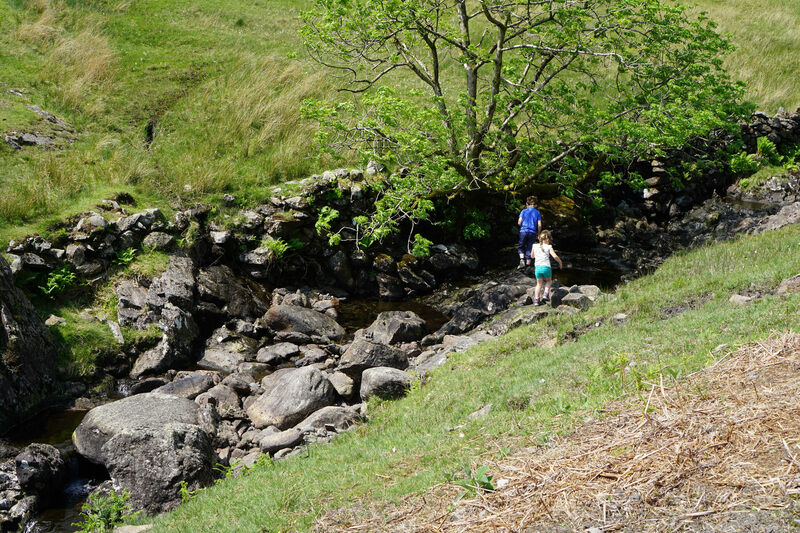 The children enjoyed little pockets of scrambling along the way. And started a week-long obsession with adding stones to cairns along the way! 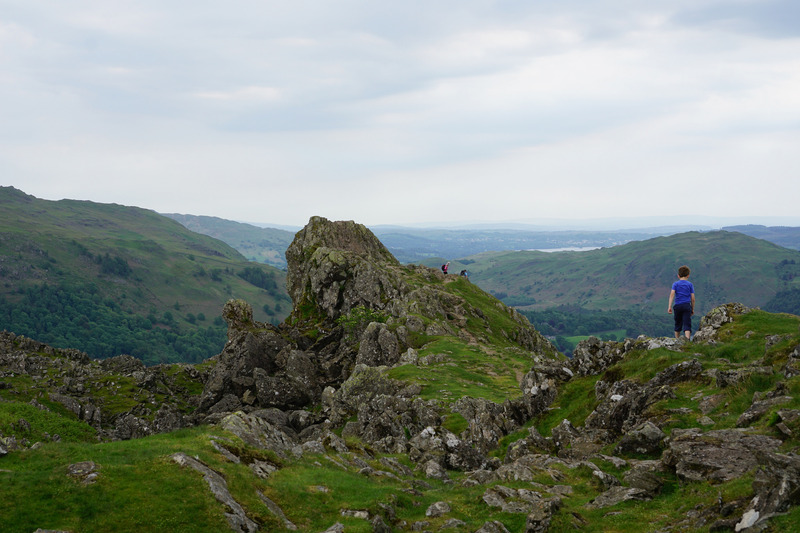 Eventually, the summit of Helm Crag approached and we recognised the distinctive rocky top. 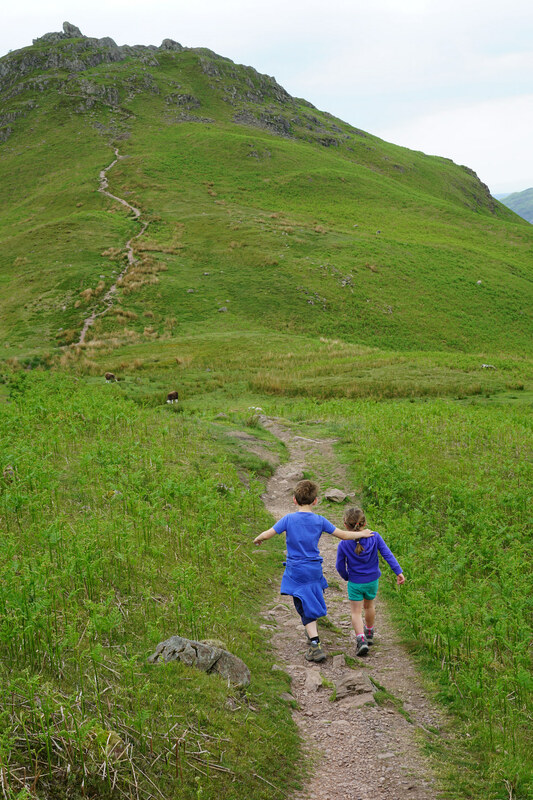 I love this shot of my intrepid duo leading the way to the peak. The views were stunning as we got higher. 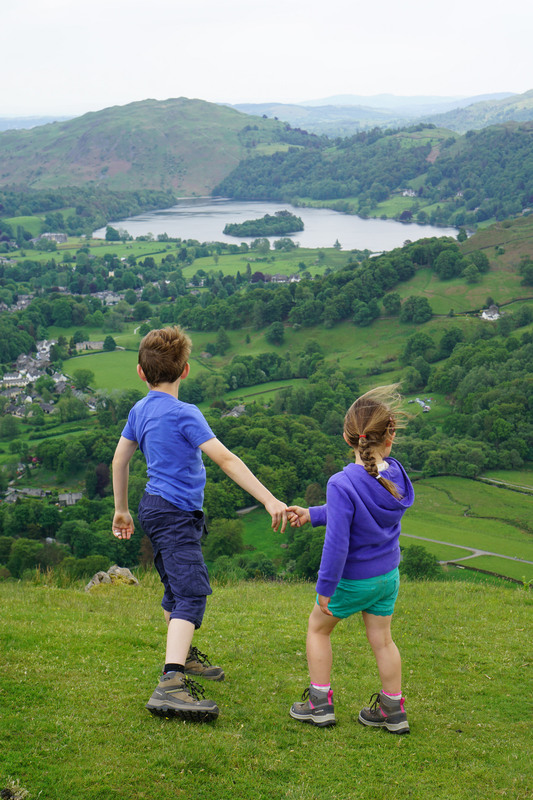 Another favourite photo of my pair – this time admiring a lake, convinced it’s the real Swallows and Amazons island! 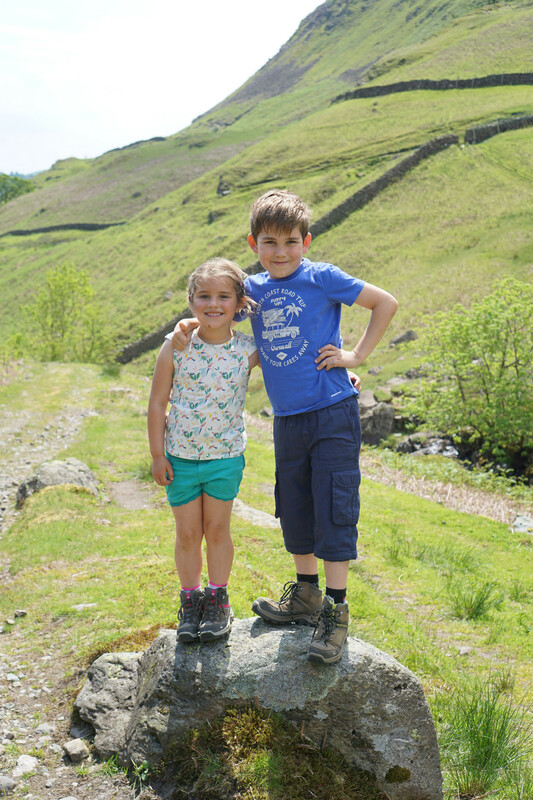 We eventually stopped scrambling around the craggy top, and made the steep descent down towards Grasmere, enjoying a woodland walk before finding ourselves in The Lancrigg for some very welcome ice creams and cold drinks! 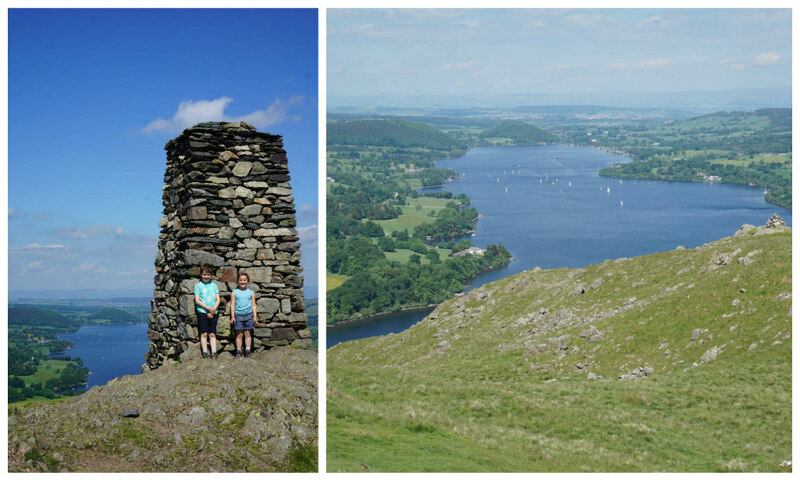 A couple of days later, we were up high again, this time at Hallin Fell. 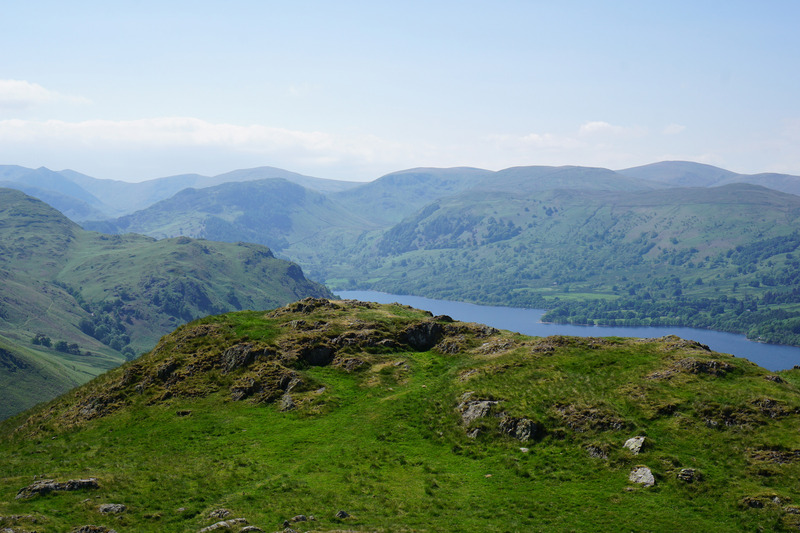 We were heading toward Penrith to visit some family, and stopped along Ullswater to stretch our legs. This time we cheated a little as we didn’t have as much time, and parked pretty high up in the wonderfully remote St Peter’s Church near Howtown. 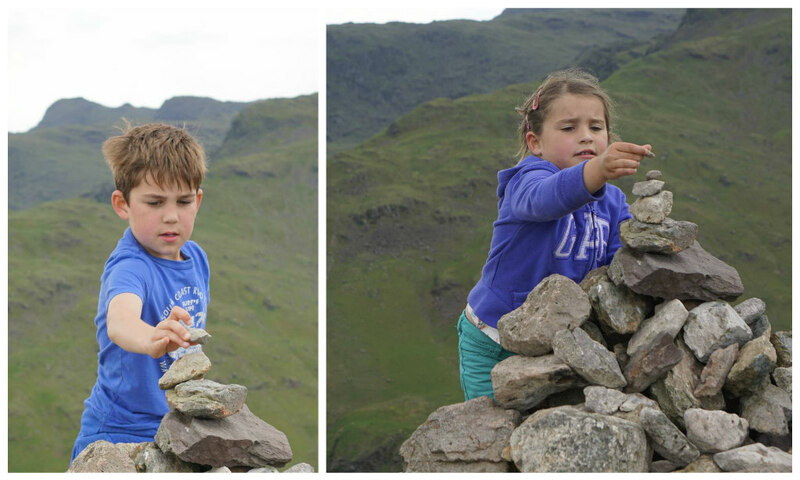 It was still a steep slog in hot weather up to the summit cairn – this one being far too tall for the children to add a stone to the top! 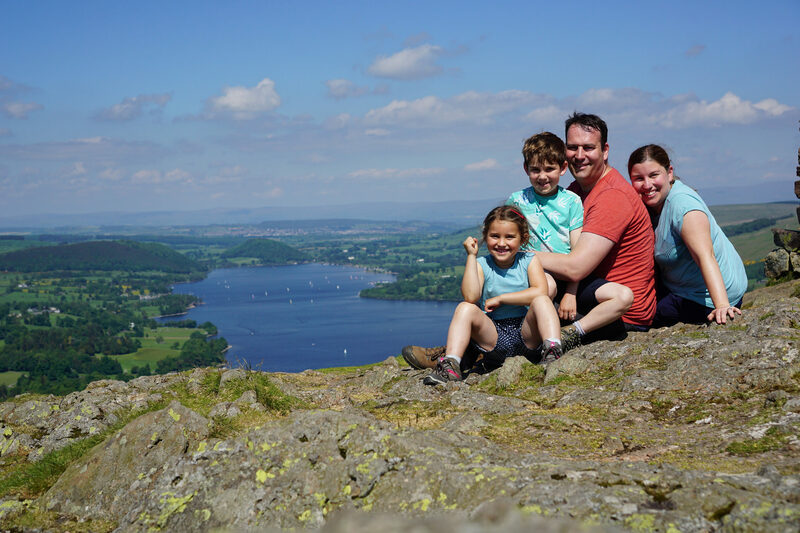 Without any other passing walkers, we attempted an auto-timer family portrait with Ullswater behind us! There were so many boats out on the lake looking tiny from our position. 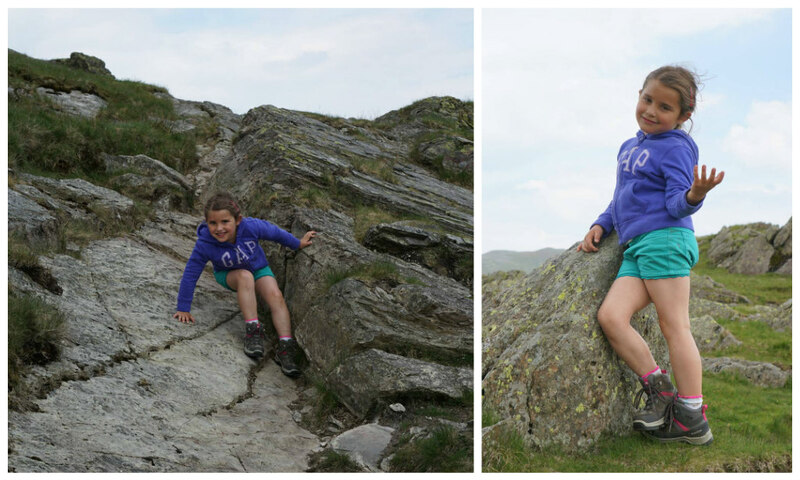 We had lots of fun on our descent route, clambering over rocks. 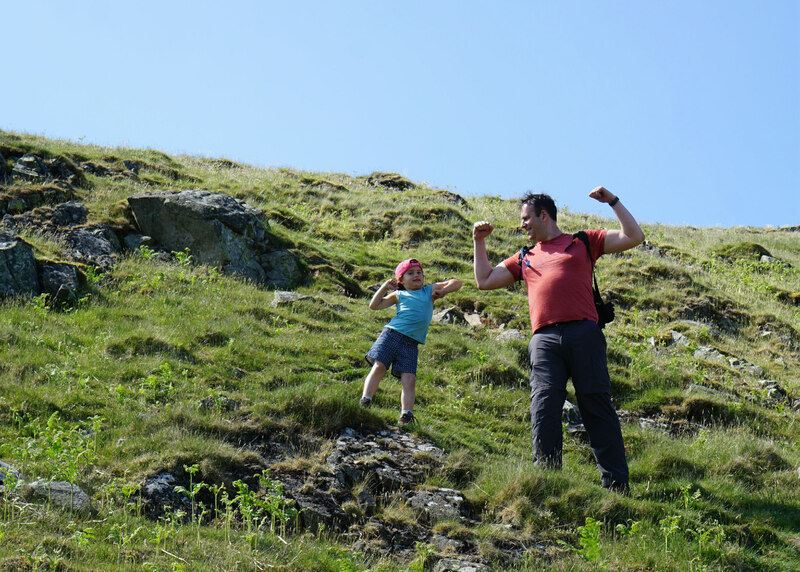 Here’s Sophie remind us how strong she is with her daddy! 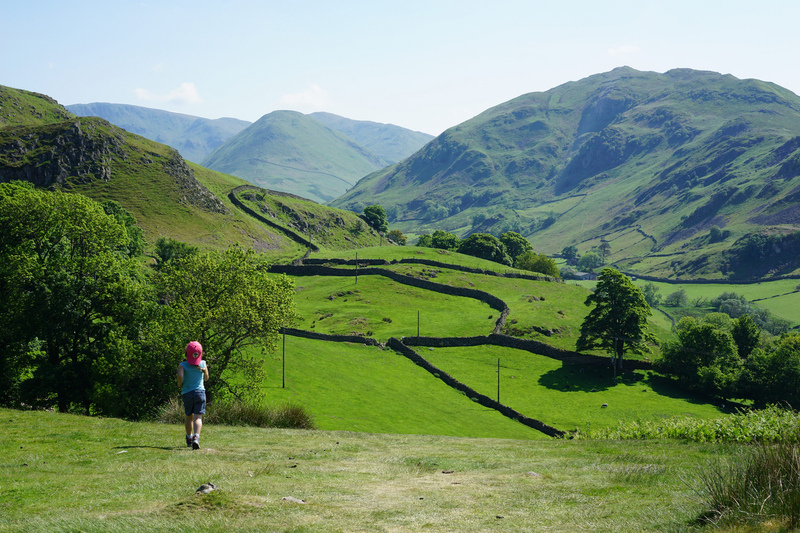 I held back a bit to watch my gang wander through the stunning landscape – when the weather is right, Britain really is the most glorious place to go on holiday! You made it to the end of the post! 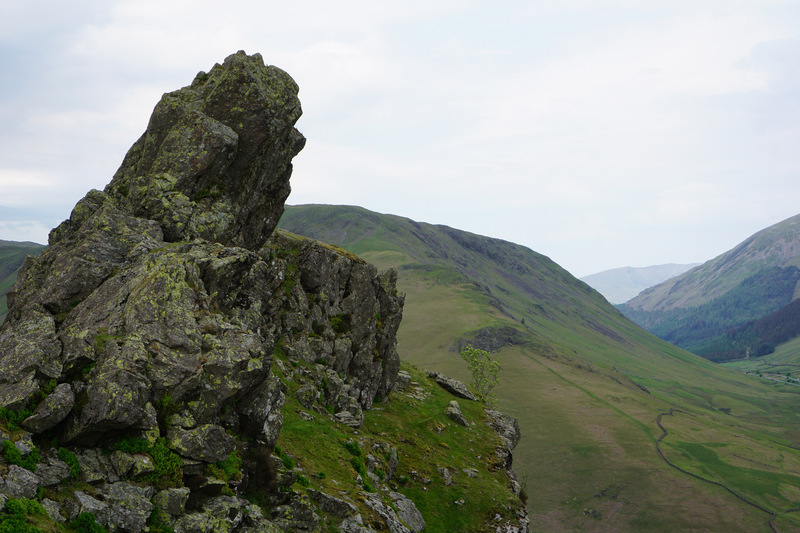 More hiking photos to share later this week, together with tales of what else we got up to in Cumbria…. This looks an amazing break. 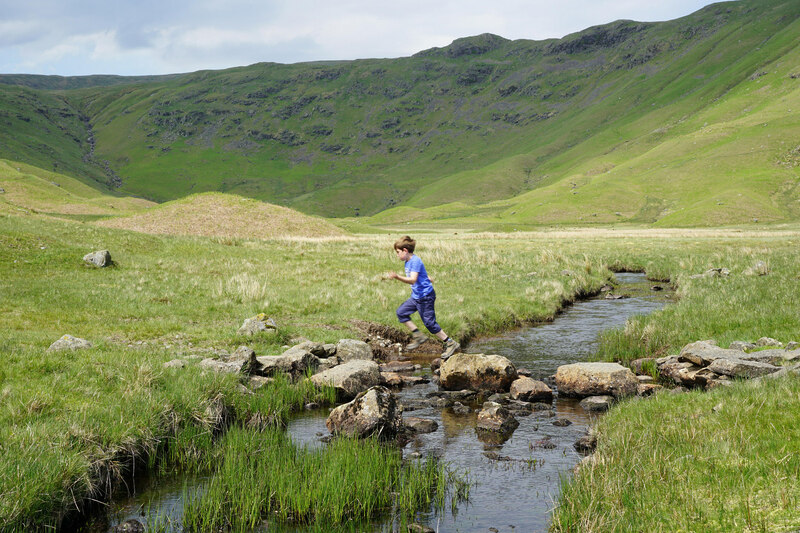 All that fresh air and exercise. 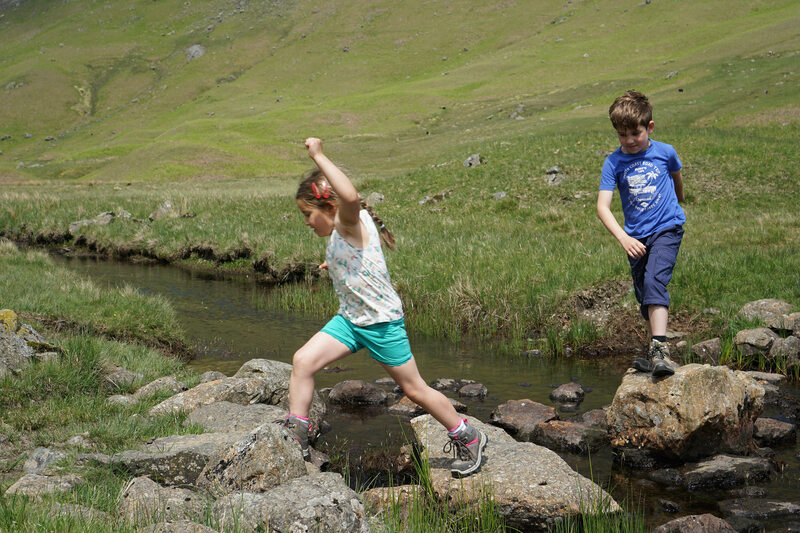 Kids allowed to be free (and noisy without it being too loud). Beautiful views too. 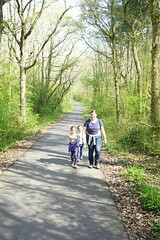 Looks like a great walk. 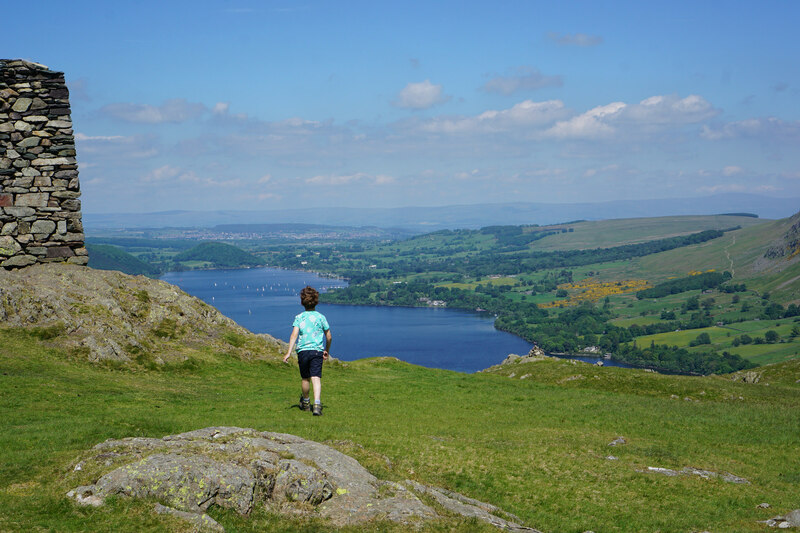 Don’t think it’s Wild Cat Island though as that was based on Peel Island on Coniston Water – love a blog with an S&A reference though.